Only in the Soviet Union of Josef Stalin could a man become his nation's leading designer of fighter aircraft while under detention - yet that is exactly what happened to Nikolai Polikarpov, the designer who finally brought Soviet aircraft development to a par with that found in the west. Following the design of his I-5 - the first mass-produced Soviet aircraft with a performance anywhere close to that of similar aircraft in the west, Polikarpov was accused of "exercising insufficient energy in bringing assigned work to fruition," which was considered a form of sabotage by the State Security Agency. While held in custody at Factory No. 36 in Moscow, he worked with Anatoly G. Trostyansky to create a successor to the I-15, which would become known as the I-15 - one of the best fighter designs to be produced during the 1930s. While Polikarpov tried to avoid anything unorthodox in his design, he did incorporate a "gulled" upper wing, which attached directly to the fuselage without use of cabane struts. By early 1936, 392 I-15s powered by the M-22 - a Soviet license-built version of the British Jupiter - had left the factory and plans were underway to continue production with the new M-25, the license-built version of the Wright Cyclone. Controversy over the desireability of the "gulled" upper wing finally boiled over, particularly within the Scientific Research Institute of the Air Forces (NII V-VS), and I-15 production was halted pending a decision by higher authority. Those who questioned the design of the I-15 held that the "gull" effect restricted the pilot's view for takeoff and landing, and was responsible for the high rate of accidents in I-15-equipped fighter regiments. Polikarpov argued that the wing contributed to the outstanding structural sturdiness of his design and pointed out that the accident rate was the result of poor flight instruction standards. A compromise was eventually reached, in which the I-15 was restored to production, with thge M-25, while Polikarpov would redesign the fighter with a more conventional upper wing, to be known as the I-15bis, or I-152. The I-152 was not merely an I-15 with a different upper wing center section. Polikarpov had performed a thorough sructural analysis of the I-15. The new design was completely restressed, with the result that structural weight increased by 397 pounds, and the airplane was almost literally "built like a tank" in terms of structural strength. The span of the upper wing was increased 17.7 inches, with the new center section increasing wing area by 6.46 sq. ft. The M-25 engine was inclosed in a clean, long-span cowling, as opposed to the Townend ring used on the I-15, while fuel capacity was increased from 57.2 to 68.2 imperial gallons. Empty weight had risen by 30 percent as compared with the M-25-powerd I-15, wing loading had increased from 12.82 lb/sq.ft. to 15.77 lb/sq.ft. As a result, the I-152 was heavier on the controls and less maneuverable, though 10.5 seconds for a full 360-degree turn was still much better than the potential opponents the I-152 would face. Quantity deliveries commenced in mid-1937. The I-152 first saw combat over China beginning in November 1937. Used by Soviet volunteer pilots, it proved superior to the JAAF's Ki.10 and the JNAF's A4N biplanes, but found the JNAF A5M-2 superior in classic close-in high-g maneuvering combat. Nonetheless, the sturdiness of the I-152 and its armored seat gave it a reputation as a very hard kill among the Japanese Navy's fighter pilots. The JAAF responded by sending the first Ki.27s to China, which were on a par with the I-152 in maneuverability. I-152s were sent to Spain in December 1938 as part of an emergency reinforcement on the personal order of Stalin, arriving just after the Nationalist breakthrough in Catalonia, following the Republican defeat in the decisive Battle of the Ebro. Unfortunately, the 29 I-152s that were assembled amidst the chaos of Republican Spain in January 1939 were too late to take part in any combat, and were among the Republican aircraft evacuated to France at the end of February. 20 of the I-152s were recovered from France and served in the Nationalist air force as trainers until the early 1950s. I-152s also took part in the "Nomonhan Incident" in Mongolia in August and September, 1939. This was followed by their participation as the major Soviet fighter in the "Winter War" with Finland, where the inadequately-trained Soviet fighter pilots received a mauling from their far better-trained opponents. Production of the I-152 was phased out at the beginning of 1939, but in 20 months Factory No. 21 had produced 2,408 I-152s, and more than one-third of all V-VS IAPs were equipped with it. 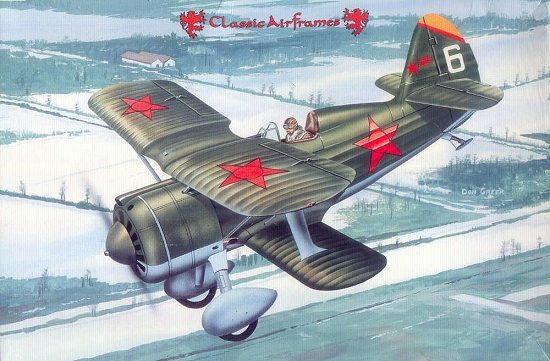 MPM, who produces kits for Classic Airframes, is no stranger to Polikarpov's biplane fighters. In the 1980s, the company produced vacuforms of the I-15, I-152 and I-153, which are still among the best vacuforms one can get hold of. 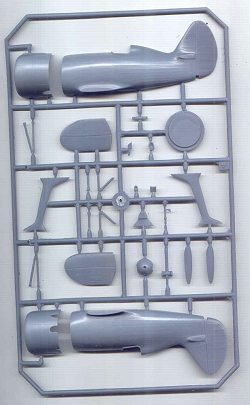 This kit of the I-152 is the second of the series produced in injection plastic, with the I-153 having appeared in 1995; it was one of the very best of the early Classic Airframes kits and is still very worthwhile if you can find one. This kit of the I-152 benefits from the improvement of molding quality that has been introduced by MPM in the past year. The injection parts are crisp, with restrained, accurate-looking fabric effect, and sharp trailing edges on all flying surfaces. 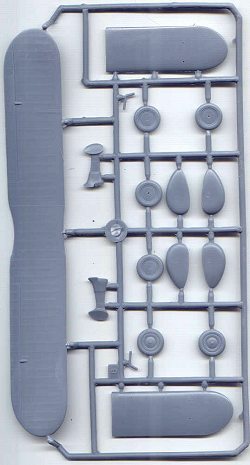 It is a vast improvement on the hopelessly-wrong Arado Ar-68 series released this past fall, being entirely accurate in outline and detail. The resin cockpit is a major improvement on the photoetch cockpit of the I-153 kit which I have recently been wrestling with, having picked up a second I-153 at a model show this past summer. 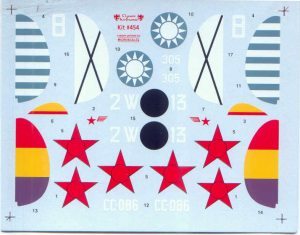 Decals are included for a "Super Chato" of the Spanish Republican Air Force as well as one flown postwar by the Nationalists, an I-15 of the Chinese Air Force, and one of the V-VS as flown in the Nomonhan incident. I really like the Polikarpov biplanes. They look like what they were: very competent machines that gave their enemies fits. 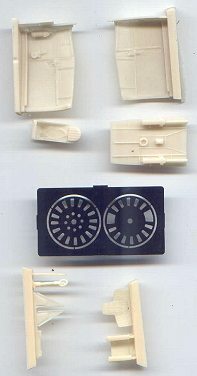 The biplanes of the 1930s were the end of the line for the genre, and displayed some real design ingenuity, making all of them worthy of being produced as model kits. The I-152 will look good on the shelf, and with its simple attachment of the wings and simple rigging, could be a good cure for Twowingophobia. Highly recommended. If you would like your product reviewed fairly and quickly by a site that has well over 175,000 visitors a month, please contact me or see other details in the Note to Contributors.